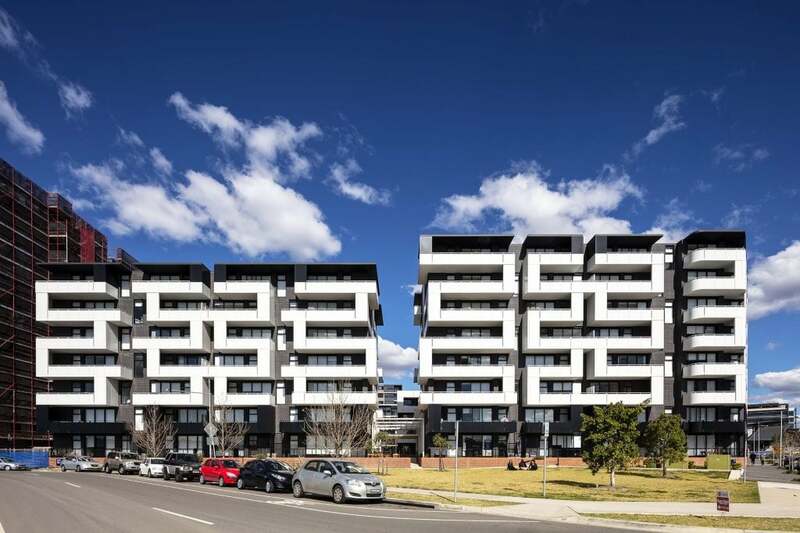 Eve was conceived, designed and shaped as a response to Erskineville’s honest and robust materiality, and by a local vernacular architecture. 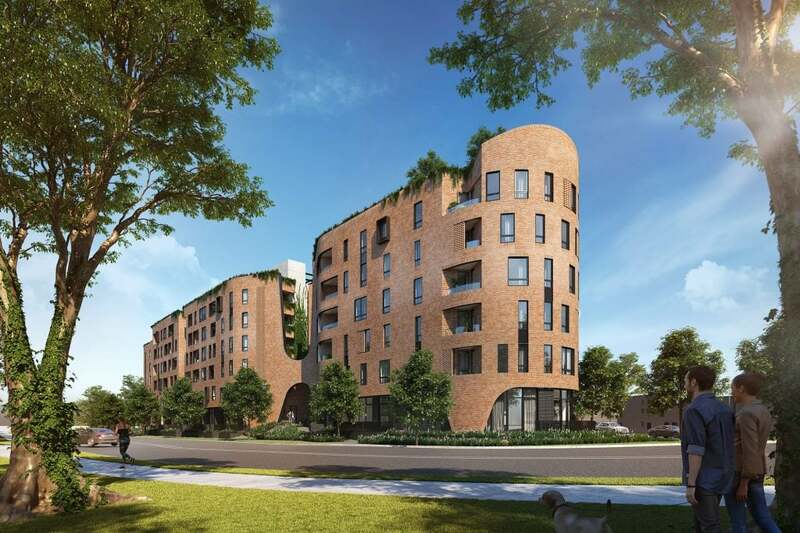 Eve was conceived, designed and shaped as a response to Erskineville’s honest and robust materiality, and by a local vernacular architecture that features such distinctive architectural details as curved street corners and the fine craftsmanship of nearby railway brick arches. 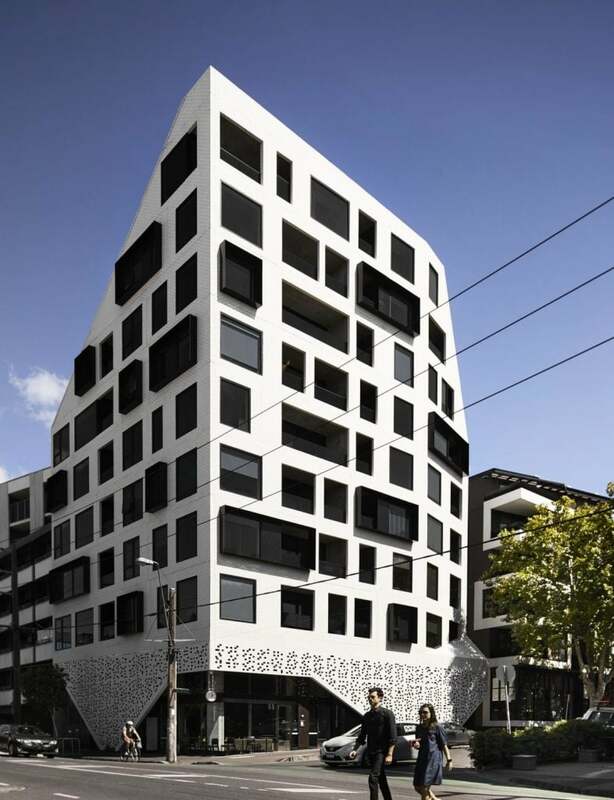 The result is an Erskineville apartment development whose large-scale sculptural curves and sensuous forms speak to the local fabric of the neighbourhood. Eve’s south-west elevation learns from its surroundings while rethinking the street corner, as a sensuous curved wall of white brickwork is punctured by sharply framed balcony slots, forming a dynamic interplay of vertical and horizontal movement. Here too an urban plaza engenders a sense of delight and counterpoint to the long, uniformly orthogonal built forms that line Macdonald Street. At the heart of Eve is a central courtyard garden, as well as a diverse series of communal areas that provide a range of different offerings to suit all occupants. These include a light filled yet intimate central courtyard and rooftop gardens, complete with BBQ’s and seating areas. At the street edge are a series of ‘stoops’, which provide a front door and garden to all of the ground floor apartments. As a case study in how to activate the street and provide an interactive environment for social encounters, Eve represents a landmark development by Fridcorp, and represents the very best that can be achieved through the Sydney Design Excellence process.